Hands-on and Step-by-step, How Artie integrates recorders into her amazing Bear Lake music program. Teachers who have spent time in Artie Almeida's many workshops know what a creative, natural teacher she is, and that she is wonderful at transferring her teaching ideas into words in the resources she has published. 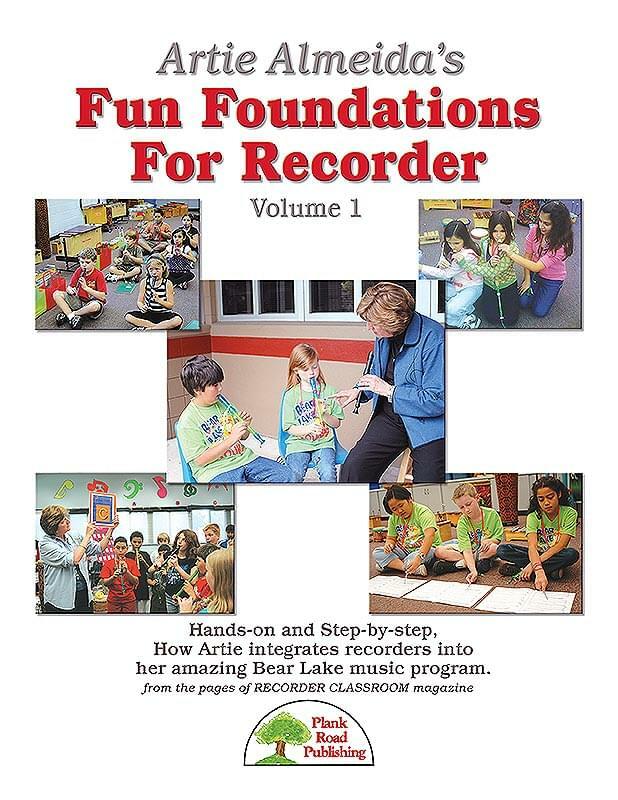 That's why we were so pleased to feature her in each issue of Recorder Classroom magazine with a series of richly developed columns about how she integrates recorders into the fabric of her fabulous program at Bear Lake. In this kit, we combine these great resources for teachers everywhere. As a matter of fact, there is so much content here that we are breaking it into two jam-packed volumes. The Teacher's Handbook is the heart of the kit, and its many sections take you step-by-step through Artie's program as it has evolved in the more than 20 years she has been developing it. Beyond basic technique there are sections on air production and management, instrument selection and care, repertoire, and so much more. And this is not a dry, academic work. It is a successful teacher talking to friends about how she does it. Order this great resource and be prepared for years of great ideas for your program!